Sage green wall paint goes well with many colors, including earth tones ranging from brown to golden yellow to pale terra cotta to pale beige. Other colors that work well with sage green are those similar in tone on the color wheel but differing in intensity. 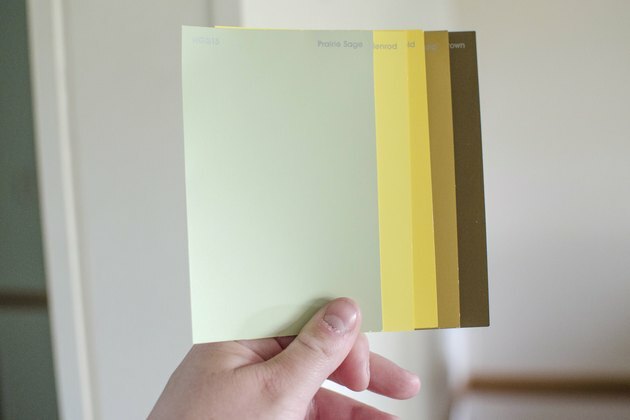 Take a paint sample card of sage green from the paint store and use several shades from the same card. Colors like navy and rose, while not commonly used with sage green wall paint, can add a lot of visual interest to a room. To create a room using complementary earth tone colors, start by picking out three colors--first your sage green, then a warm yellow and a terracotta. These look good together and provide a smooth flow from room to room. 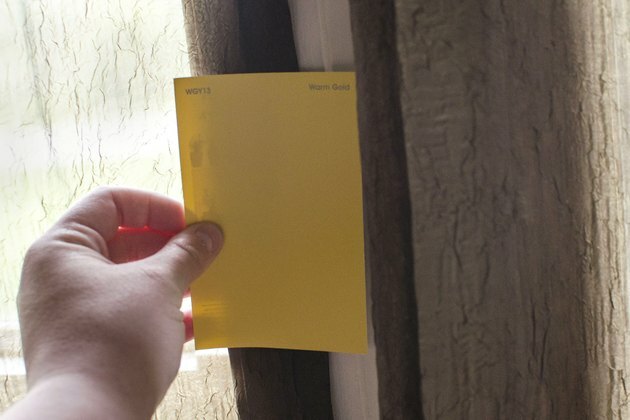 One of the simplest techniques you can do is to paint each wall in your room a different color. In addition, you can paint adjoining rooms in the complementary colors, to carry the earth tone theme throughout your home. Use a unifying eggshell white on all of the trim in the room or rooms to pull the look together. Another decorating option with painting is to create a focal point with one of your earth tone colors. For instance, if you have a niche or a fireplace in your room, paint that area with a color that accents the sage green wall color. You might choose a darker terra cotta, another earth tone, a rose tone or a navy. 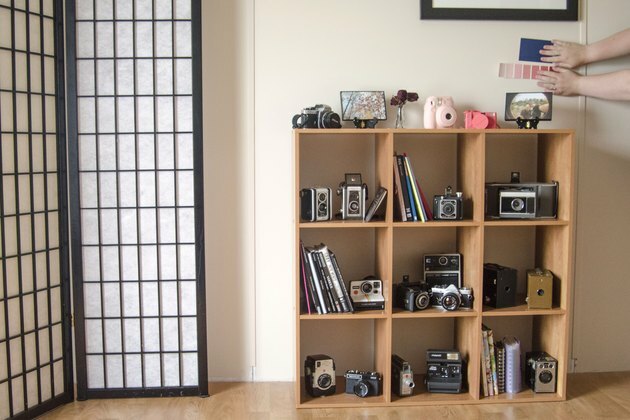 All of these will make the focal point pop in the room, increasing visual interest. To visually balance an accent such as a niche or fireplace, you may want to paint the opposite wall in the same accent color you have chosen. This opposing wall will help to unify the room. Again, keep your trim an eggshell white for flow from room to room. Decorative painting with accent colors is an easy way to enliven your walls and bring another dimension to sage green walls. Tape off one wall with painter's tape and do some striping with your chosen accent color. Navy stripes make a striking presentation against sage green walls and create a masculine and dignified look to a room. If you have a built-in bookshelf, paint the inside of the bookshelf a contrasting color, like golden yellow or a soft rose for a feminine look. Add soft rose or golden yellow furnishings such as rugs, curtains and pillows for a complete look. 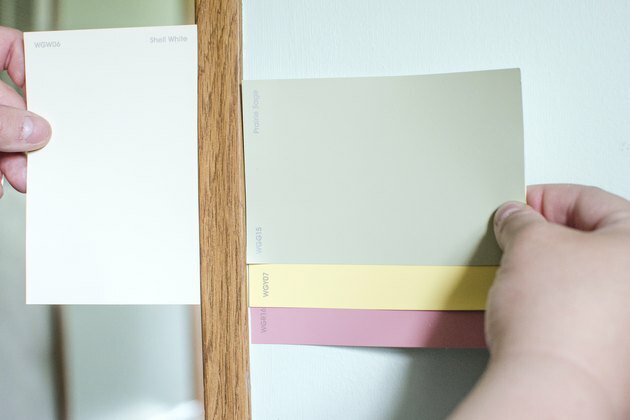 For a more serene look, simply paint your walls varying shades of sage green, using the paint sample strip idea. Using different intensities of color gives focus and definition to a room and is visually soothing. This is a great choice for a bedroom, or a room where you will be relaxing.